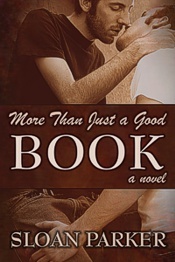 As both a past winner and judge, as well as a judge for this year’s awards, I can tell you that Elisa runs a very professional contest for writers of LGBT fiction. 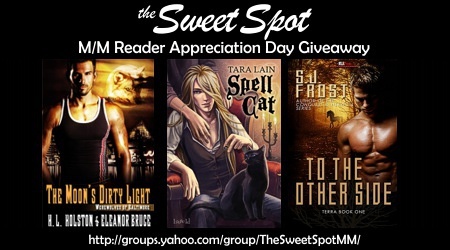 If you are an author, please consider submitting your book(s). 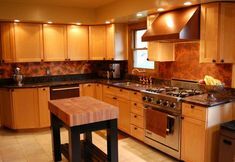 After admin expenses, all remaining funds collected from the award entries will be donated to select LGBT non-profit charitable organizations. 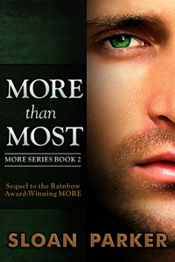 You can read more about eligibility and how to enter at http://www.elisarolle.com/rainbowawards/rainbow_awards_2013.html. 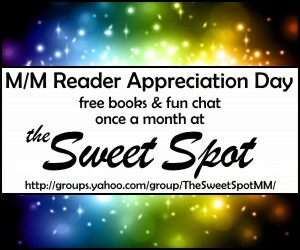 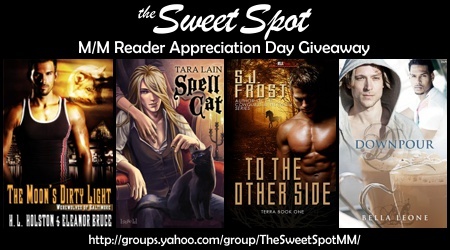 This Saturday, July 20th is our monthly Reader Appreciation Day at the Sweet Spot Yahoo Group. 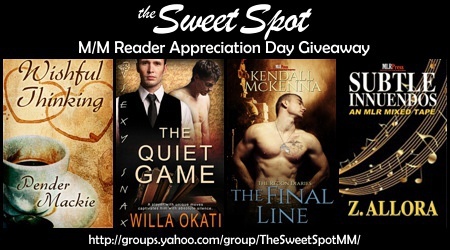 Stop by to enter the giveaway, read excerpts, and chat with authors of M/M romances. 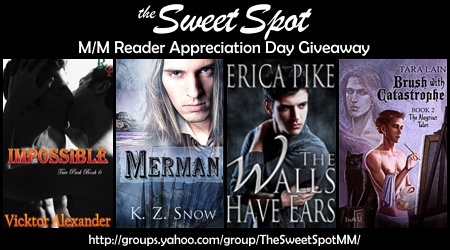 The giveaway runs from 8 am – 8 pm EST.